Ошибка socket was closed remotely (by pool). Решено! 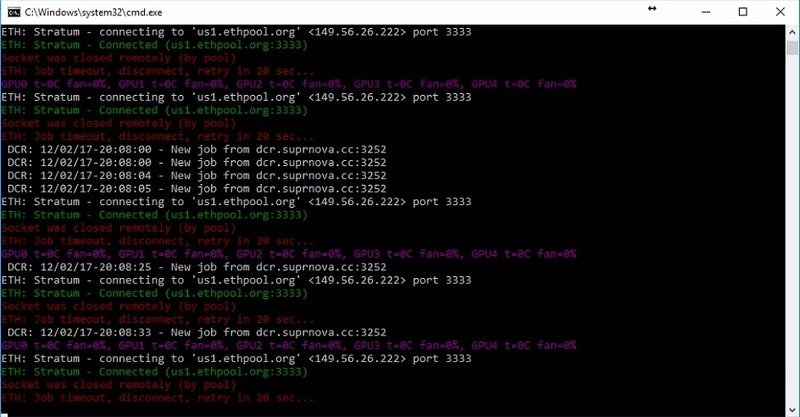 При запуске майнера, выходит ошибка: socket was closed remotely (by pool). Thank you for your response, this seems to be related to the newest version of claymore miner. Please try rolling back a version, this should solve this. Решением проблемы является использование более старой версии Claymore.